ProPublica is a nonprofit newsroom that investigates abuses of power. Get our best stories as soon as they are published. The Pulitzer Prize Board announced Monday that three articles in ProPublica’s “Trapped in Gangland” series on MS-13 by reporter Hannah Dreier won the 2019 Pulitzer Prize for feature writing. The winning stories were jointly published with New York magazine, Newsday and the New York Times Magazine. 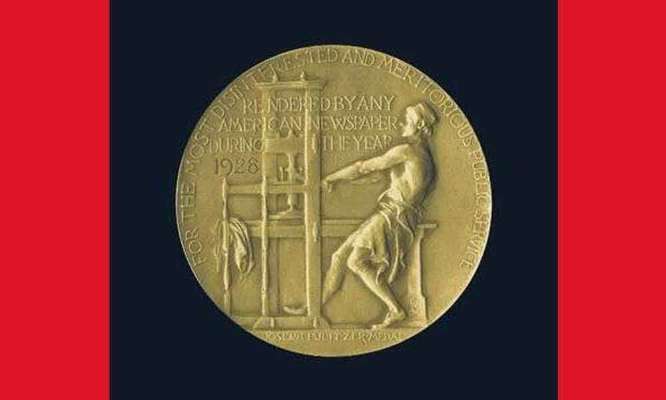 The award is the fifth Pulitzer Prize for ProPublica. The ProPublica series “Zero Tolerance” was a finalist for this year’s Pulitzer Gold Medal for public service. The designation is ProPublica’s 11th Pulitzer finalist in 11 years. For “Trapped in Gangland,” Dreier followed immigrants on Long Island whose lives were shattered by a botched crackdown on MS-13. After President Donald Trump took office and seized on MS-13’s violence to promote tougher immigration policies, Dreier soon realized that anti-immigrant rhetoric and police bias were undermining efforts to combat a brutal gang that preyed on Latino teenagers. She examined the impact of the gang and law enforcement on the region’s growing Latino community. Dreier’s first piece, “A Betrayal,” co-published with New York magazine, chronicled the life of Henry, a Long Island high school student and MS-13 member desperate to escape the gang. He worked with law enforcement for about a year to help police and the FBI arrest fellow members, believing authorities would help him start a new life. Instead, they betrayed him by turning him over to immigration authorities. Marked for deportation to his native El Salvador, and then for almost certain death as an informant, Henry and his lawyer decided that a news story might be a last remaining option to save his life. Henry arranged for Dreier to be given his cellphone, and she combed through years of text and WhatsApp conversations, as well as exchanges he had with his FBI handler. He helped her make a glossary of Spanish gang slang so that she could understand coded messages. He also agreed to let ProPublica use a video and photos of him. As Dreier started reporting, she began thinking about how to balance Henry’s desire to tell his story with the threat to his life. She consulted with gang and law enforcement experts and adopted some restrictions that Henry did not ask for. She left out details about where he might go if he were released from jail. ProPublica and New York magazine didn’t publish his last name or run photos that might reveal his identity. Hundreds reached out after the story’s publication, donating to a fundraiser that brought in $35,000 to help him find a safe place to live once he was released or deported. The Department of Homeland Security opened a civil rights investigation. U.S. Immigration and Customs Enforcement said it would stop creating detailed gang memos, which jeopardize informants, and offered to move Henry into protective custody. In the end, “A Betrayal” didn’t stop Henry’s deportation to El Salvador, but, with the money that readers donated and the extra time allowed by a delay in his hearing, he was able to ultimately go into hiding in a safe third country. A second piece, “The Disappeared,” published in partnership with Newsday and also featured on “This American Life” (whose story is separately a finalist for a Peabody Award), followed a mother, brushed off by police, searching for her missing son in woods called the “killing fields.” The story exposed the indifference of the Suffolk County Police Department when confronted with nearly a dozen Latino teenagers who went missing in 2016 and 2017. Even though parents begged police to investigate the disappearances, the department ignored families’ concerns — failing to provide Spanish-speaking interpreters, not pursuing leads, brushing off witnesses and labeling the teens runaways. It turned out that many of the missing children had been murdered by MS-13 members. Within a week of publication, the Police Department announced that it would investigate the mishandling of the MS-13 murders, and both of the detectives featured in ProPublica’s investigation are now under internal affairs review. The department also hired a civilian liaison to work with Latino residents and bolstered efforts to recruit Spanish-speaking officers. The series’ final article, co-published with the New York Times Magazine, told the story of Alex, a high school student deported in an ICE roundup of suspected gang members with no criminal histories. In Alex’s case, he was accused of gang membership and deported to Honduras for drawing a devil, his school mascot but also an MS-13 symbol. A school-based police officer reported the doodle, circumventing privacy protections. In response to the story, the Huntington school district, where Alex had attended, removed police from school buildings, and, along with other districts, it sought a formal agreement with the police limiting officers’ roles in schools. ProPublica senior editors Daniel Golden and Alexandra Zayas, as well as Nadia Sussman, Adriana Gallardo, Anna Vignet, Lucas Waldron and Terry Parris Jr. also contributed to the series. Photos for the series were taken by Natalie Keyssar and Demetrius Freeman, and it was designed and produced by Jillian Kumagai, Agnes Chang and Rob Weychert. The teenager told police all about his gang, MS-13. In return, he was slated for deportation and marked for death. Police on Long Island wrote off missing immigrant teens as runaways. One mother knew better — and searched MS-13’s killing fields for answers. The “Zero Tolerance” series honored as a Pulitzer finalist for public service uncovered conditions at Border Patrol detention centers where thousands of children separated from their parents and unaccompanied minors have been sent. The series began with a source who had an explosive tip: nearly eight minutes of heart-wrenching audio from inside a U.S. Customs and Border Protection facility. Published in a story by senior reporter Ginger Thompson in June 2018, the recording of children sobbing and begging for their parents set off a political firestorm and spurred an immediate change in the immigration debate. Lawmakers cited ProPublica’s audio as they condemned the administration’s policy. The children’s cries were played on the floors of the House and Senate. Protesters blared the recording at demonstrations around the country. Faced with this uproar, and despite his previous insistence that he would stand by the policy, Trump within 48 hours of ProPublica’s story signed an executive order to end it and keep migrant families together. A federal judge in California ordered that parents and children be reunited within 30 days. By July, the child heard in the recording pleading to call her aunt, a 6-year-old girl from El Salvador named Jimena, was reunited with her mother. ProPublica mobilized to look deeper into how children had been affected. Dozens of journalists in our newsrooms in New York and Chicago pitched in and filed public records requests for police reports and call logs concerning more than 100 shelters for immigrant children nationwide. Several stories based on this data brought to light for the first time hundreds of allegations of sexual abuse, fights, missing children, contemplations of suicide (published by ProPublica Illinois in partnership with Mother Jones) and a lack of oversight. One child psychiatrist called the situation a “gold mine” for predators. The stories quickly upended assertions that the shelters were havens akin to summer camps and boarding schools. In Arizona, where reporters Topher Sanders and Michael Grabell tracked down the case of a shelter worker accused of molesting eight children, the governor ordered a statewide inspection. This led to the shutdown of two centers run by Southwest Key after the nonprofit failed to provide proof that its employees had completed background checks. Senators demanded an investigation, and the U.S. Health and Human Services Department’s inspector general is now reviewing employee background checks and the treatment of children in the nation’s shelter system. Tracy Weber, Alexandra Zayas, Claudia Milne, Louise Kiernan, Steve Mills, Adriana Gallardo, Melissa Sanchez, Duaa Eldeib, Jodi S. Cohen, Kavitha Surana, Robert Faturechi, Alex Mierjeski, Claire Perlman, Ken Schwencke, Decca Muldowney, Derek Kravitz, Jess Ramirez, Rachel Glickhouse, María Sánchez Díez and Lilia Chang also contributed to the series. ProPublica has now been honored with the Pulitzer Prize in five different categories. The newsroom received Pulitzer Prizes for public service in 2017, explanatory reporting in 2016, national reporting in 2011 and investigative reporting in 2010, in addition to being a finalist for both explanatory reporting and local reporting in 2018, a finalist for explanatory reporting in 2017, a finalist for national reporting in 2016 and a finalist for public service in 2010.